Dr. Chen is a Professor in the Nanoengineering Department at the University of California, San Diego (UCSD). He is also a faculty member of the Institute of Engineering in Medicine and the Clinical Translational Research Institute at UCSD. Before joining UCSD, Dr. Chen had been a Professor and a Pearlie D. Henderson Centennial Endowed Faculty Fellow in Engineering in the Mechanical Engineering Department at the University of Texas at Austin. From 2008 to 2010, Dr. Chen served as the Program Director for the Nanomanufacturing Program in the National Science Foundation (NSF). Dr. Chen has a good track record for developing well-funded research programs with funding from NIH, NSF, DoD, ONR, AFOSR, American Heart Association, Texas Instruments, Intel, and IBM. His group has published over 110 peer-reviewed publications and filed more than 10 patents/provisional patents. Three of the patents were licensed to CardioSpectra, Inc. and later acquired by Volcano Corporation (NASDAQ:VOLC) with $25M in cash. 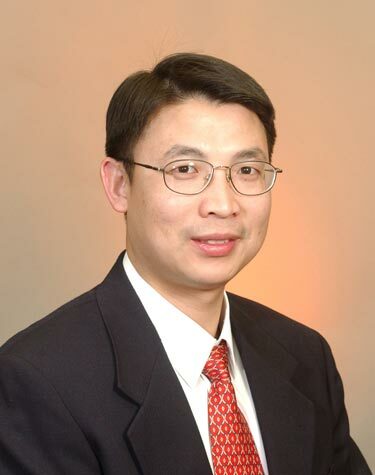 Among his numerous awards, Dr. Chen received the CAREER award from NSF in 2001 for cutting-edge research in laser nano-scale processing of biodegradable polymers. This work is leading to the development of degradable polymeric micro- and nano-devices for cellular and molecular therapeutics. In 2004, Dr. Chen received the Young Investigator award from the Office of Naval Research (ONR) for his work on nanocomposites with unique optical, thermal, and chemical properties. His lab has developed innovative three-dimensional, multi-functional micro and nanostructures with a gradient of material composition and topography, leading to applications for tissue engineering, regenerative medicine, and solar energy harvesting. His work about surface plasmons and its application for nanolithography has won the Best Paper Award of AIAA Thermophysics Conference in 2006. Several technical magazines such as "Laser Focus World", "Nanotechnologie News (Germany)", "R & D Magazine", "Photonics Spectra", "Design News Online" and "C-NET News" reported on his research work. As an active member in his professional community, Dr. Chen was elected Fellow of the American Association for the Advancement of Science (AAAS) in 2011, Fellow of the International Society for Optical Engineering (SPIE) in 2008, and Fellow of the American Society of Mechanical Engineers (ASME) in 2007. Currently he serves as the Associate Editor for Journal of Biomedical Nanotechnology and ASME Journal of Manufacturing Science and Engineering. He is also on the editorial board of journals including Nanomedicine, Biofabrication, and The Open Materials Science Journal. "A Sacrificial Material for Organic-Based, 3-Dimensional Fabrication", L. H. Han and S.C. Chen US provisional patent filed, 2009. "Continuously direct-write of microlens array using digital projection photopolymerization", Y. Lu and S.C. Chen, US provisional patent filed, 2009. "Designer multi-material scaffolds of native ECM components prepared by freeform fabrication for neural tissue engineering", S. Suri, W. Zhang, L.H. Han, S.C. Chen, C.E. Schmidt, UT disclosure filed, 2008. "Direct Forming of Microoptics Using a Dynamic Photomask", Y. Lu and S.C. Chen, US Provisional Patent Application Serial No. 61/025,070, 2008. "Flash Imprint Lithography Using A Mask Aligner (FILM): a method for imprinting nanostructures in UV-curable polymers", D. Y. Fozdar and S.C. Chen, UT disclosure filed, 2008. "Method and Apparatus for Performing Nanoscale Photolithography", S. C. Chen, D.B. Shao, US Provisional Patent Application Serial No. 60/954,183, 2007. "A Device and Method for Rapid Fabrication of Multi-material, 3-dimensional Microstructures", L.H. Han, G. Mapili, S.C. Chen, and K. Roy, US Provisional Patent Application Serial No. 60/952595, 2007. �Rotating Optical Catheter Tip for Optical Coherence Tomography�, T. E. Milner, M. D. Feldman, J.-H. Oh, S. C. Chen, US patent no. 7853316. The patent was licensed to CSI. CSI was acquired by Volcano Corporation in 2007. "A Nanostructured Cardiovascular-Energized Power Source for Automatic Implantable Cardioverter Defibrillators (AICDs) and Biventricular Pacemakers", S. C. Chen, M. D. Feldman, L. H. Han, C. A. Aguilar, US Provisional Patent Application Serial No. 60/883497, 2006. �Catheter Imaging Probe and Method�, M. D. Feldman, T. E. Milner, S. C. Chen, J. H. Kim, L. H. Han, J.-H. Oh, H. Lee. US patent no. 7711413 and international patent filed in 2004. The patent was licensed to CardioSpectra, Inc. (CSI) in 2005. CSI was acquired by Volcano Corporation (NASDAQ:VOLC) with $25M in cash in 2007. Total Royalties paid to UT-Austin by CSI to date is $972,063. �Optical Coherence Tomography Using Spectrally Resolved Bandwidth�, M. D. Feldman, T. E. Milner, J.-H. Oh, E. Kim, K. Kumar, C. Condit, R. Grant, N. Kemp, J. H. Kim, S. C. Chen, L. H. Han, US patent no. 7783337. The patent was licensed to CardioSpectra, Inc. (CSI) in 2005. CSI was acquired by Volcano Corporation in 2007. Copyright © 2009 Regents of the University of California.